Single-serve tuna kit offers a 3 oz. 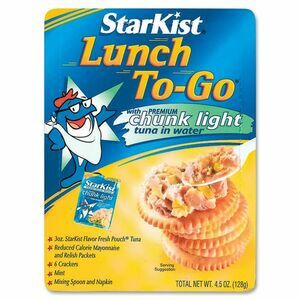 vacuum-sealed pouch of tuna, crackers, low-calorie mayonnaise, a spoon, napkin and after-lunch mint. Tuna kit package also doubles as a tray for mixing ingredients.